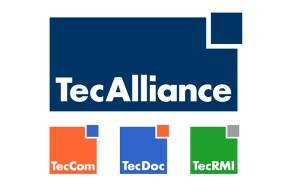 Parts information data provider Tecdoc has announced the addition of Mobiletron UK to its ranks. The electronic and subsystem specialist is one of the latest replacement parts manufacturers to achieve official data supplier status on TecDoc’s CATALOG software. The collaboration will give the aftermarket the opportunity to source engine management components, such as lambda and crank angle sensors, and mass air flow meters, direct from the supplier. Shaun Greasley, Commercial Director at TecDoc, said the addition of Mobiletron UK will bring added benefits to the automotive industry as a whole. Mobiletron hopes the joint venture with TecDoc will give it more exposure to the factor and garage networks. Technical Product Manager Michael Huang, said: “Despite being active in the area of automotive electronics for more than 30 years, it is still necessary for us to expand our reach and raise awareness of our brand throughout the sector.